Injuries in grocery stores can be serious, causing time away from work and possibly extensive time in the hospital. When residents of Los Angeles and the surrounding area suffer such injuries, they know to call a highly rated slip and fall lawyer in Los Angeles at the Law Offices of David Azizi. David has practiced only personal injury law for 21 years and wins 98 percent of his cases. 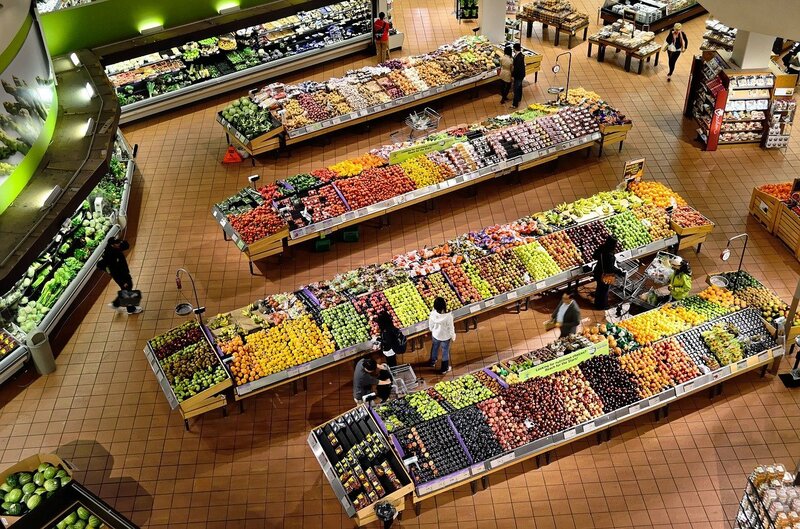 If you have been injured in a grocery store slip and fall, call us at (800) 991-5292. We are available 24-hours a day, seven days a week. Set up a free, no-obligation case review, and learn what your options are and how much your case is worth. You can get an estimate of your grocery store injury settlement amount by using our slip and fall settlement calculator. Failure to use mats near produce can lead to slip and fall accidents. Slip and fall accidents cause 300,000 injuries each year with many requiring hospital care, according to the Global Safety Network One out of three seniors who fall and suffer a fracture develop fatal complications. Overall, there are more than 20,000 deaths due to slips and falls every year. This comes out to 55 daily. Slips and falls are the primary reason for accidents in public buildings, and 70 percent of these occur on level flat surfaces. Grocery stores in California, from Cardenas to Ralphs, Walmart and Vons, are the most common places where slip, trip and fall injuries happen. In order to lower the number of slip and fall accidents in grocery stores, these establishments are required to institute a slip and fall prevention protocol, yet accidents still occur. Use your cell phone, and take pictures of what made you trip or slip, leading to a fall. Get witness contact information if witnesses saw the accident or your injuries afterward. Some onlookers may affirm that the spill or walkway obstruction was there for some time prior to your fall and may have reported it to management. Look to see if a video camera in the store captured your fall. Take a picture of its location. Look for video cameras in the area of the accident. They may capture personnel avoiding the area on routine inspections. Go to your doctor or the emergency room. Follow the doctor’s instructions. Take pictures of any bruises or abrasions you might have. Start a diary about how you feel, beginning with a detailed description of the accident. Keep a file with all expenses and receipts related to the injury. Preserve any physical evidence of the incident such as the clothes or shoes you were wearing. Negligence is an important factor in supermarket accidents. Negligence in this situation is that a dangerous condition existed, and the store was negligent in allowing that circumstance to exist. Without the element of negligence, the store is not liable for your injuries. The owner/retail tenant or entity in control of the premises was aware or should have been aware that the dangerous condition existed. The owner or tenant did not have scheduled inspections of the premises on a regular basis established. Generally, inspections are scheduled every 30 minutes to one hour apart, according to established best practices for safety in supermarkets. Maintenance was insufficient to prevent accidents. Floors must be kept free of debris that might cause a patron to slip, trip or fall. The dangerous condition was directly linked to the injury. The individual suffered financial damages due to the injury. One question is why you slipped on a wet floor in a supermarket or why was there a walkway obstruction? The next is how long has the condition existed? With the use of video cameras, it might be possible to show the dangerous condition existed for some time before you slipped. Cameras might also show that employees failed to inspect the area. In addition, were mats or warning signs available to prevent a supermarket slip? Failure to take precautions, such as using slip-resistant mats aimed at preventing accidents or warning of slippery floors or blocked walkways, can serve to prove the defendant’s lack of care. The statute of limitations in California limiting the amount of time you have to file grocery store slip and fall cases is two years. This time limit begins tolling from the date of the accident. Grocery Store Slip and Fall Settlements and Verdicts? Medical expenses: This includes all expenses for treatment of your injury such as hospital bills, emergency room costs, ambulance, doctor visits, medication, X-rays, rehabilitative therapy, or nursing services at home. Lost Wages: This includes the income you would have made if it were not for the accident. It can also include income in the future if you are not able to return to your current job. Ancillary Expenses: This can include gas to go to doctor visits or taxi cost if you cannot drive to the visit. Pain and Suffering: This varies from one person to another and includes not only persistent pain but the emotional and mental issues associated with the accident. Use our slip and fall calculator to get an idea of what your supermarket injury claim is worth by clicking here. Spinal injury of the cervical/neck, thoracic/mid-back or lumbar/low-back areas that can cause disc herniation or bulging of the disc. Ligaments between the discs can also be stretched. Herniation often requires surgery such as disc fusion. These injuries can aggravate preexisting, non-symptomatic conditions. For example, an individual who might have cervical/neck osteoarthritis might notice persistent pain in the neck after an accident. Doctors note that joint trauma can lead to both acute osteoarthritis and a long-term complication of pre-existing osteoarthritis. This can have a significant impact on the individual’s mobility and life experiences. These injuries are often severe since an individual is unprotected. The lack of cushioning makes the propensity for serious injury possible. There are things grocery store owners, retail renters/tenants or an entity in control of the premises can do to prevent slip and falls. In areas where slipping occurs most, such as the produce section, the use of non-slip flooring and mats makes the likelihood of an accident less. The areas should be checked often, however, to make sure the mats are not saturated or water has pooled. Entrances and exits pose problems, particularly when it rains. Blowers and mats can be used to prevent slipping. Carts should be wiped down or shaken to remove excess water too. Depending on the hours of operation, floors should be mopped after hours. Since many stores are open 24/7, the use of warning signs around freshly mopped areas must be used. Regular inspections should be scheduled with specific employees responsible for this. Ladders should not be left on the floor. If necessary, they should be returned to the employee area immediately after use. Pallet jacks and pallets should also not be left unattended. If needed, they too should be removed from the public area right away. In the years since David started practicing personal injury law, he has resolved numerous trip and fall cases for clients. 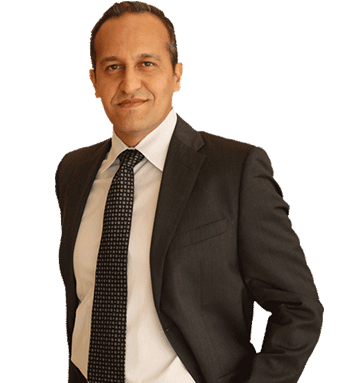 His experience in personal injury law has become well-known in Southern California. David’s overall commitment to his clients as well as a sense of empathy and caring he takes into every encounter has led to his success. Above that, he has won 98 percent of all cases since 1998. David was recognized as a top personal injury lawyer in Beverly Hills by Super Lawyers and as one of the top 20 personal injury lawyers in Los Angeles by Expertise.com. His tenacious pursuit of the evidence in a case, combined with the skills he has honed after 21 years of practicing personal injury law, has combined to make David the professional he is. Call (800) 991-5292 to set up a case review whether at your home, hospital room or in David’s office. He is here for you and even gives clients his cell phone number, so they can reach him with questions at any time. Let David — a slip and fall lawyer — take the burden of dealing with obtaining the compensation for a fall in a supermarket off your shoulders, and allow yourself the time to concentrate on recovering.